A couple of months ago I was going through our expenses and I realized we were spending a lot of money at the grocery store. I thought we were doing a good job sticking to our budget, but when I went through all of the numbers I realized we were spending way more than we thought we were. 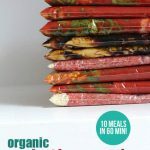 I tried a couple of ways to decrease our costs and had the most success with planning a month of meals at time. 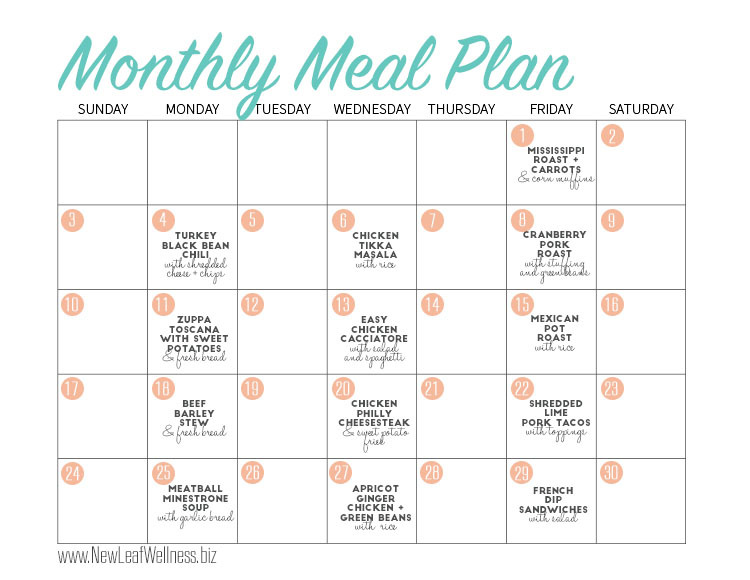 By planning a month of meals at once we were able to start saving $200 per month and a ton of time! 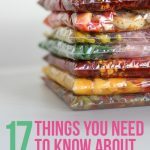 We saved a lot of money by buying our ingredients in bulk at the beginning of the month from Costco, ALDI, and sales at our local grocery store. We saved a lot of time during the month because we didn’t have to worry about dinner. Each week we only had to do a quick trip to the grocery store to pick-up fresh fruit and side dishes. We were eating healthier and going out to eat less. The only negative was the planning required upfront. Instead of figuring out our dinners every week I had to spend an hour or two planning them all at once. 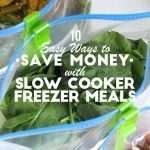 To try and make the process easier for you I thought I’d share a simple meal plan with three crockpot meals per week. I purposely picked a variety of crockpot recipes so it doesn’t feel like you’re eating the same thing every night. The other nights you can have leftovers, go out to eat, or make your favorite oven and skillet meals. 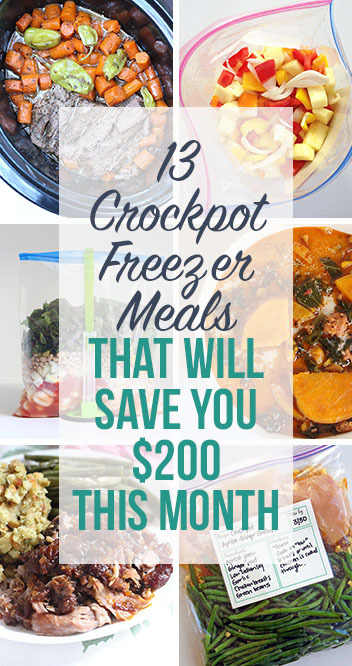 These are some of our favorite crockpot recipes so I can tell you that they’re DELICIOUS. If you buy all of your ingredients at the beginning of the month you can prep all of the meals at once, freeze them, and then cook them later. Like I said, I’ve tried them all and they’re delicious. I promise this method of meal planning is going to save you a TON of time and money and…well…I can’t think of any downsides, friends. Give it a try! Thoughts or questions? Please a comment below and I’ll respond as soon as I can. I’d love to hear from you. P.S. I shared a version of these crockpot recipes on Thirty Handmade Days on 2/1/15. Do your books have the nutritional values for the recipes? Yes. All of the eBooks include full nutritional information. I have some picky eaters in my family (hubbly and 4 yr old). So I’m always hesitant to try new things, and risk wasting money and food. Do you have any crockpot pleasers for families with picky eaters? Wow!!! I will be trying all of these in the month! Thank you!!! You’re so kind to your followers to give your time creating this list, Thank you! I can’t wait to try them.